It’s that time again, Xmas time, time for fun, time for cheer, time for friends and family and of course, time for UKULELE!! So come on down to The Groningen Ukulele Society Xmas Party at the legendary CROWBAR, pluimerstraat 35 in Groningen The enterance to the CROWBAR is on the Nieuweweg, Groningen and join in with the ukulele Xmas madness. With performances from the GUS and friends from Bremen and the Wolderwijd Ukulele Club, Open podium, Xmas Singalong, food, drink and Xmas fun.. Entry is FREE and the bar is open from 16:00. The Party begins ‘proper’ at 19:00. 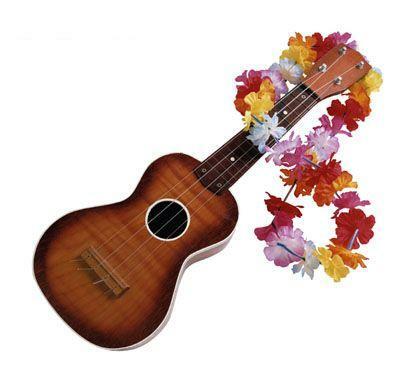 Categories: De Grote Ukulele Kerst Sing-a-Long, Meetings, News, Uke Happenings | Tags: De Grote Ukulele Kerst Sing-a-Long, Groningen Ukulele Society, groningen ukulele society meeting, GUS, meeting. groningen ukulele society, sing-a-long, ukelele hotspot, Ukulele christmas party, ukulele festival, Ukulele nederland, ukulele nl, Ukulele Xmas | Permalink. De volgende meeting is in de bovenruimte van O’ceallaigh Irish Pub, Gedempte Kattendiep 13, Groningen op dinsdag avond, 20 oktober 2015 van 19;00 tot 21:30 uur. The next GUS meeting is in the upstairs room (lounge) of o’ceallaigh Irish Pub, Kattendiep 13, Groningen on tuesday the 20th of october. The session starts at 7 0” clock and finishes (officially) at half past nine. Categories: Meetings | Tags: G.U.S., Groningen Ukulele Society, groningen ukulele society meeting, GUS, meeting. 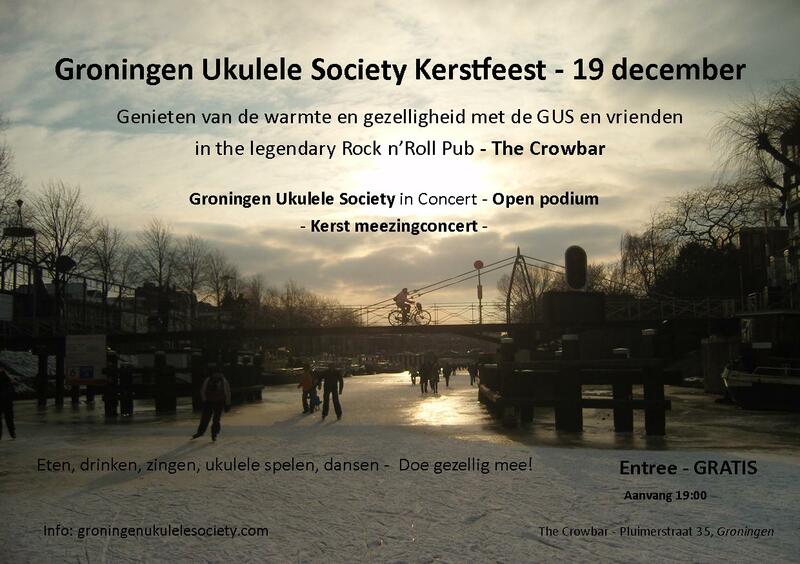 groningen ukulele society, o'ceallaigh irish pub, sing-a-long, ukelele, Ukulele nederland, ukulele nl | Permalink. Categories: Uncategorized | Tags: bijeenkomst, Christmas, De Grote Ukulele Kerst Sing-a-Long, event, G.U.S., Groningen, Groningen Ukulele Society, groningen ukulele society meeting, Groninren Ukulele Society, Harderwijkse Ukulele Club, Kerst, o'ceallaigh irish pub, sing-a-long, ukelele, ukelele hotspot | Permalink. Groningen Ukulele Society and our special ukulele friends the Harderwijkse Ukulele Club. We have a fuller program and room for extra fun on the open podium with that wonderful handful of fun that is ‘the Ukulele’. In the tradition of Uke, it’s free and everybody can join in with the fun, sing along with our tunes or grab one of the ukes available to use on the night and have a go..
UKULELE, it’s easy, it’s fun, it’s Christmas..
Be there or buy a trumpet!!! 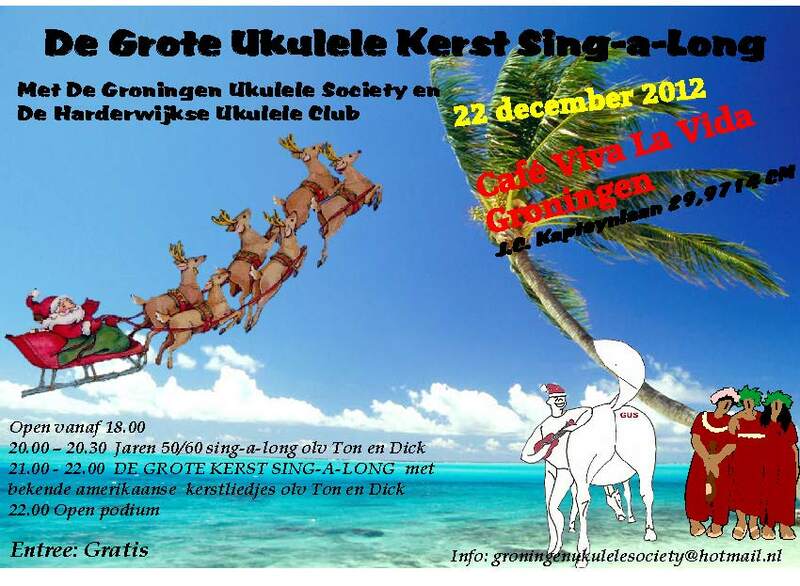 Categories: News, Uncategorized | Tags: De Grote Ukulele Kerst Sing-a-Long, Groningen Ukulele Society, meeting. 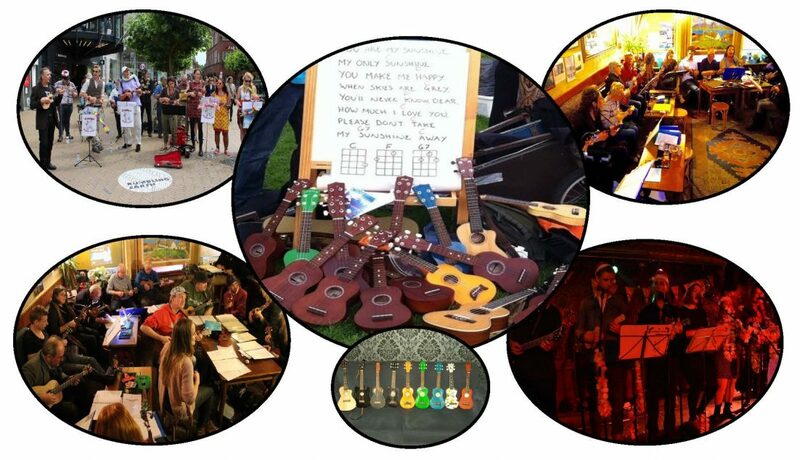 groningen ukulele society, o'ceallaigh irish pub, sing-a-long, Ukulele groningen, Ukulele Hotspot, Ukulele nederland | Permalink. This event will be taking place in café Viva La Vida, J.C Kapteijnlaan 29, 9714 CM, Groningen. Everybody is welcome to come, join in and/or enjoy the Xmas Ukulele Experience. 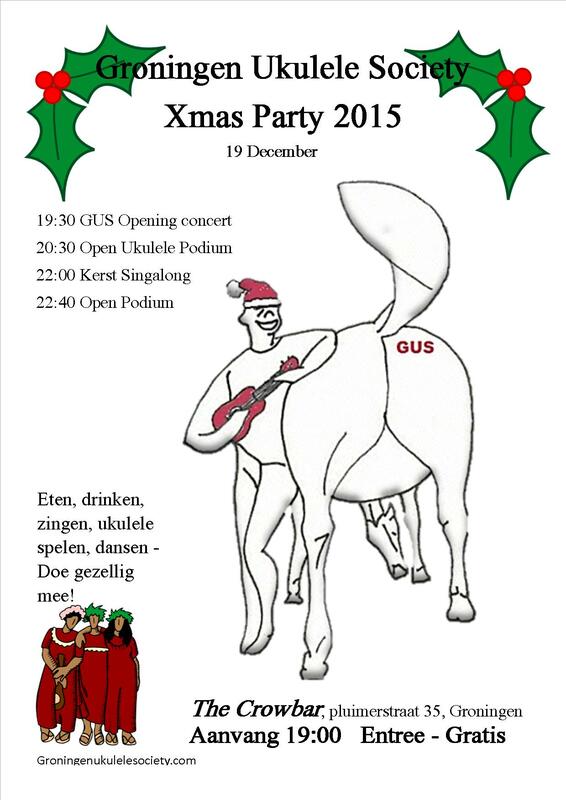 Categories: De Grote Ukulele Kerst Sing-a-Long, Posts in English | Tags: Christmas, event, Groningen Ukulele Society, GUS, sing-a-long, ukulele, Xmas | Permalink. 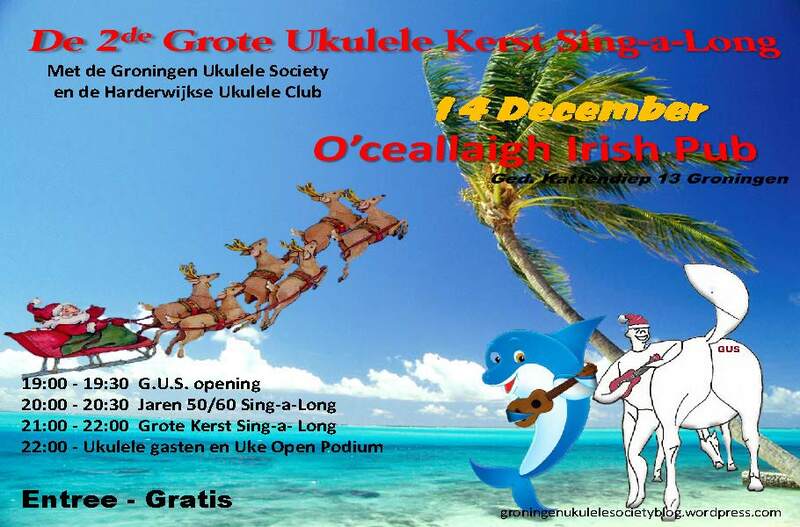 Categories: De Grote Ukulele Kerst Sing-a-Long | Tags: Christmas, Groningen Ukulele Society, GUS, Kerst, open podium, sing-a-long, ukulele | Permalink.